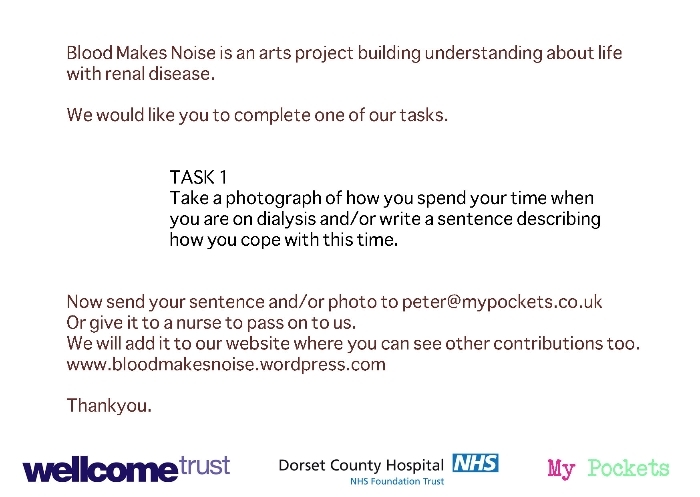 Blood Makes Noise was a project with renal dialysis patients at Dorset County Hospital. 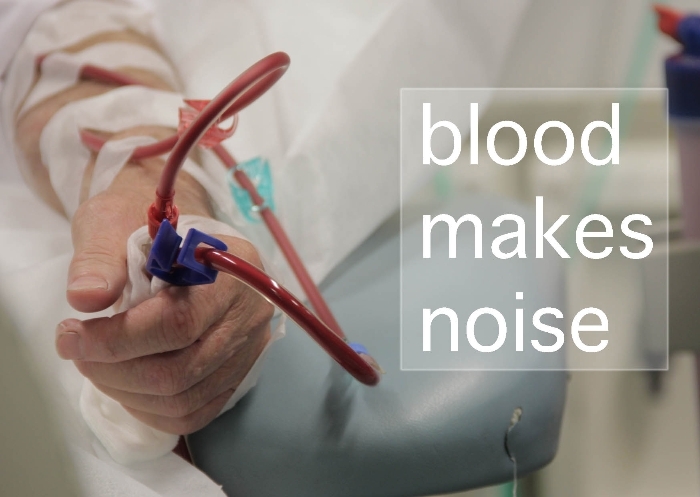 Film maker Peter Snelling was ‘artist in residence’ in the Dialysis Unit once a week for 9 months 2012 – 2013. He worked with patients to explore their stories, challenges and experiences of being on dialysis and to consider the science behind the relationship between diet and dialysis in living with renal disease. Peter’s methodology means that the participants become collaborators and together they created a film http://mypockets.co.uk/bloodmakesnoise. The film intertwines the stories of David, Lauren, Denise, Kevin and Bob. My role was to mentor and evaluate the project. Your views on the film are important to us, so please send your responses by email to anna@annaledgard.com.